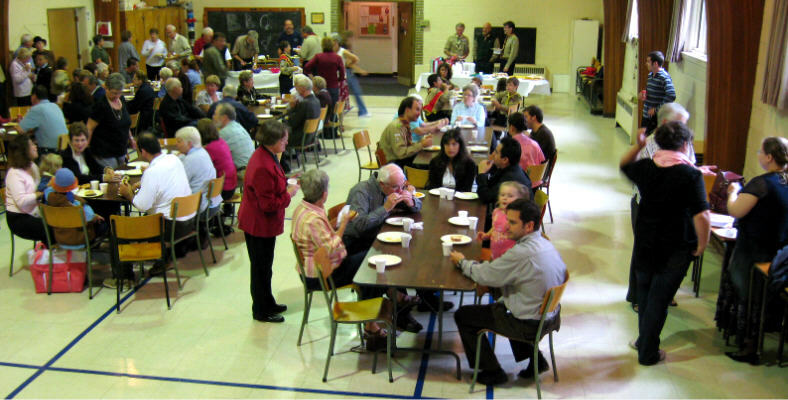 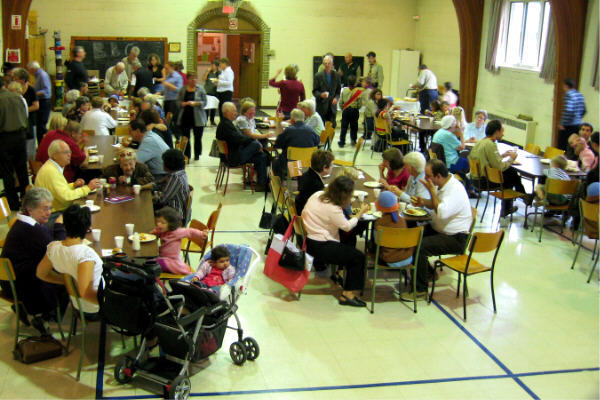 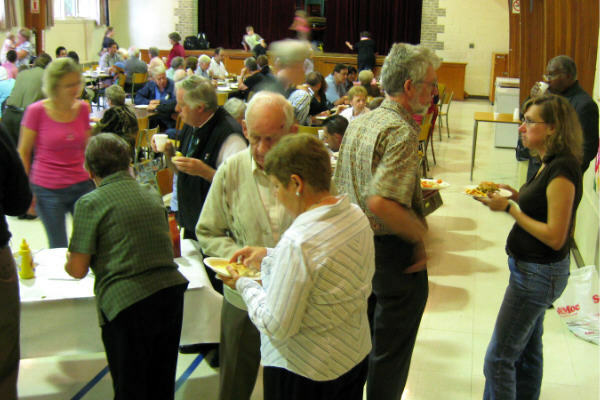 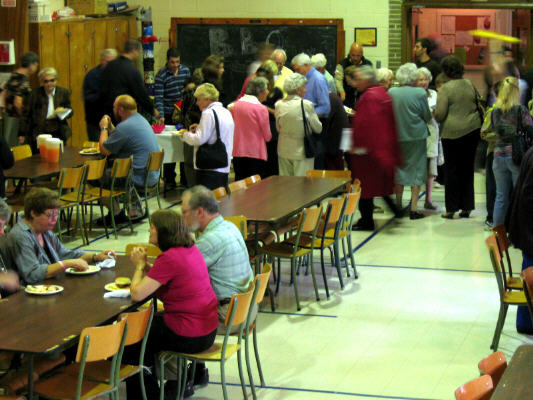 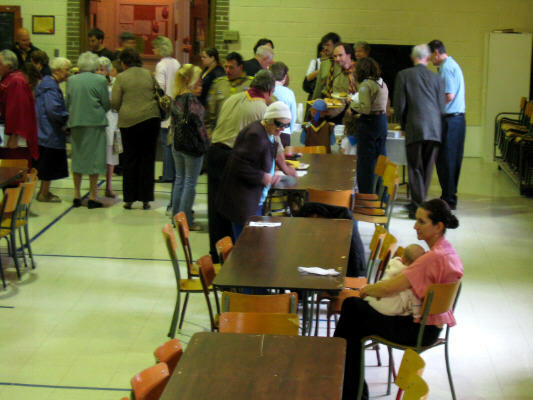 The Summerlea congregation and local community were treated to a Welcome Back Barbeque after the service on September 28, 2008. 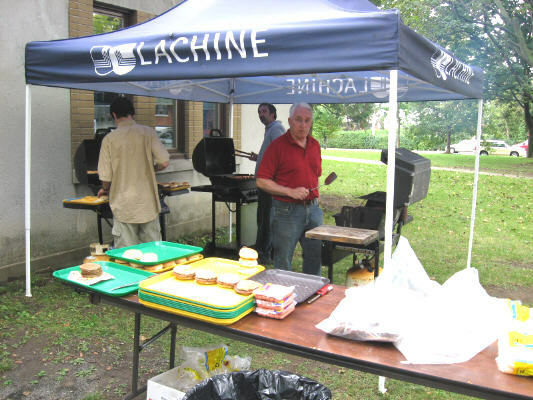 The weather was mild but showers were forecast, so the cooking was done on the bbq's outdoors, but the eating was done in Acadia hall. 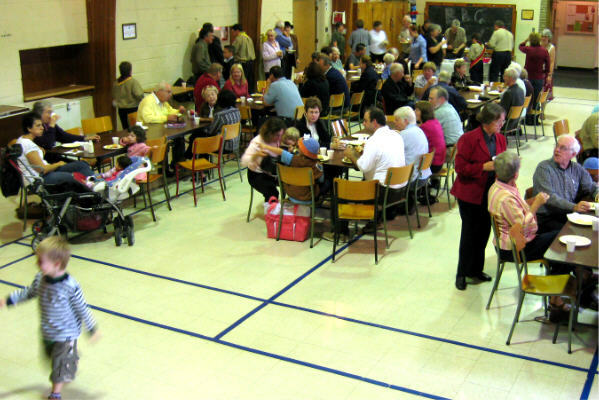 Members of the scouting movement participated in serving the hotdogs and hamburgers to the large attendance of Summerlea folk, visitors and friends. 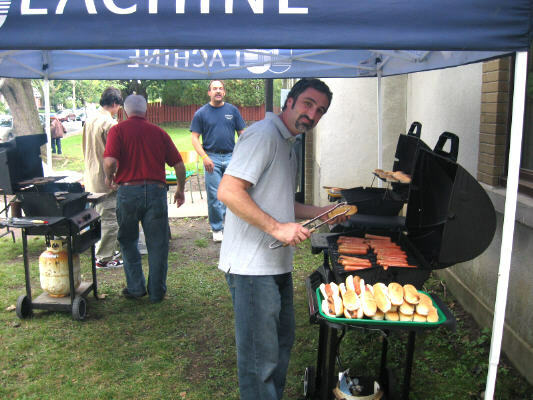 The photos on this page are pickable to see a larger version. 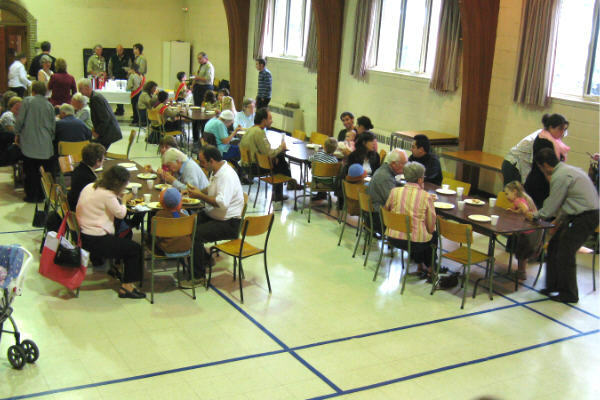 courtesy of l'Arrondissement de Lachine. 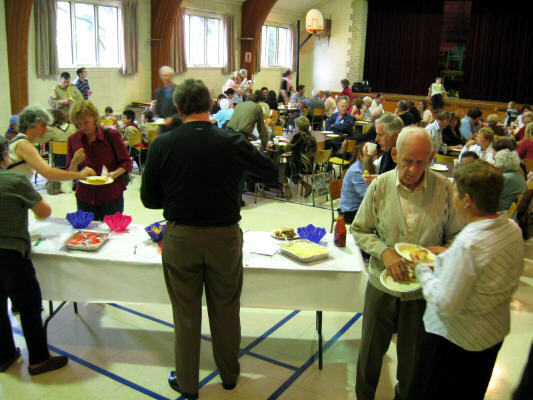 It took a while for folks to be served at the buffet style table.